We have a really clever table available for immediate delivery. Our tables usually have an 8 week delivery, but this one is at our showroom and ready to go. This means you can see it working. It also means you can test it out for yourself too. And even take it with you if you like what you see! Either that or we can deliver it to you. But the real reason you need this table, is that it is a clever table. It really easily and swiftly opens out to add in two extra place settings. There really is no effort required to expand it either. All you do it unlock it, pull it apart and open out the leaf stored within the table. I know that sounds very similar to other expanding tables. But when you see it working for yourself, you will see how easy it really is. What is the clever table called? It’s called Eclipse. 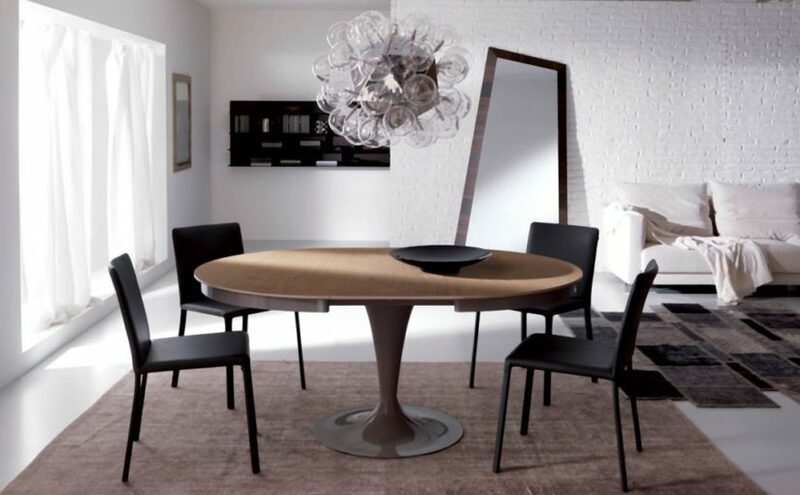 So if you’d like more information just call or email us and ask for details on the Showroom Eclipse Table. Remember this one is a one off, and once it’s gone, it’s gone. The round table has a 118cm diameter. This actually seats 6 people. 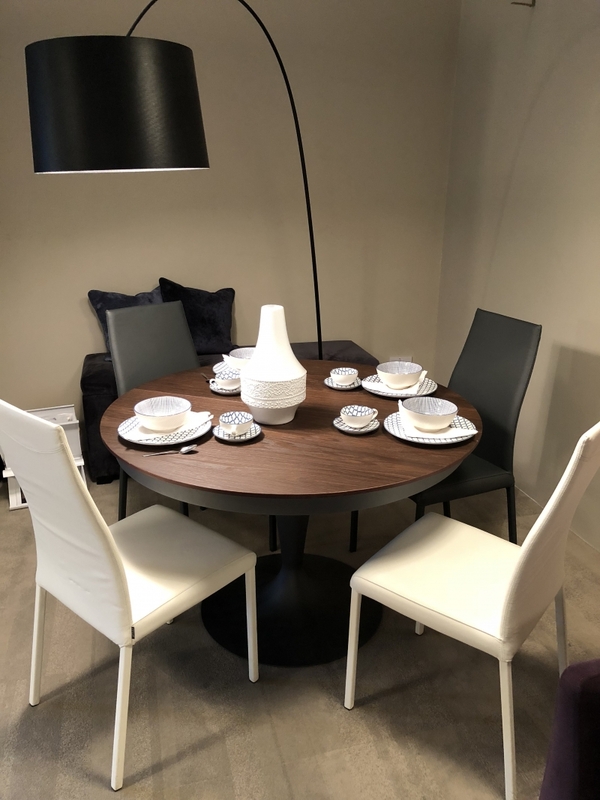 When open, the table adds in two extra place settings taking it up to an 8 seater table. It extends to a total width of 163cm and is 75cm high at both sizes. So how much is this clever table? *Please note, there is slight damage to an area on the edge of the table. It is only slight and the price is reflective of this. can i see the table? Next Next post: Are you looking for bedside lamps?